For retailers of any size from startup to Fortune 50, the tablet application has become more important than the mobile application. IBM’s annual Black Friday ecommerce report, which tracks 800 internet retailers proves the point. 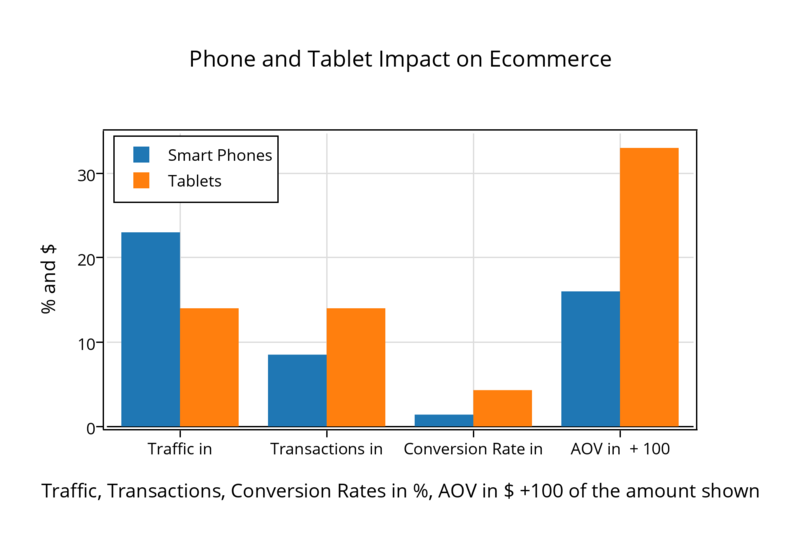 Tablet users buy at a conversion rate which is 300% greater than mobile phones and despite generating only 60% of smart phone traffic, drive 65% more transactions at 14% larger basket sizes. Ultimately, the average tablet user is worth 3.5x the average mobile phone user. This is true even though the download ranks of the top 4 retail applications in the iTunes store are nearly identical. The impact of tablets will only increase. Tablet penetration in the US at 35% is roughly half that of smart phone penetration. But all the leading indicators show explosive growth in that figure. 67% of teens own both a phone and a tablet. Walmart sold 1.4M tablets on Thanksgiving Day alone, increasing household tablet penetration by 1.4% in just one day. As Flurry’s data proves, there is an explosion in the number of new mobile applications but more importantly 300%+ annual growth in the number of apps commanding audiences of 20M or more MAU. I don’t think any of these have been tablet first, but very soon and particularly in retail, I think we will see tablet-first/primarily tablet apps reach tremendous scale. The unit economics are just that compelling.